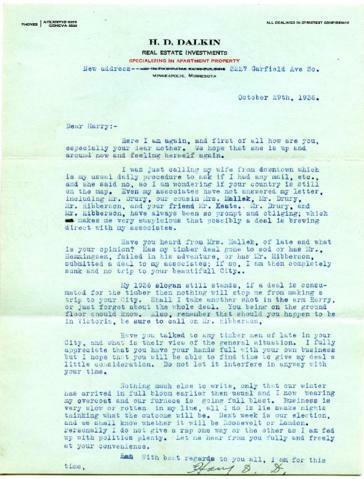 Letter sent to Harry Seidelman from Harry Dalkin in Minneapolis, Minnesota, U.S.A., dated October 29, 1936. A new address of "3227 Garfield Ave So." replaces the previous one in the letterhead.